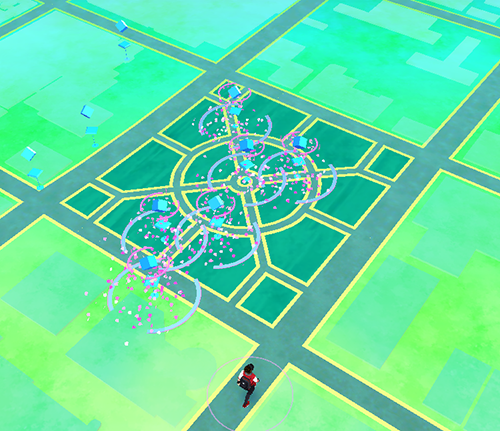 Pokémon GO has captivated people of all ages, from all walks of life around the world, and you can bet Raleigh, N.C., has seen groups of Pokémon Masters-in-training on the streets of downtown and throughout the destination. There are endless places to go for a day out with family and friends, hunting down "rare and unusual Pokémon," as the hardest-to-find were described by "Meowth" in the &apos;90s hit cartoon series. Here&apos;s a quick guide to playing in downtown Raleigh and beyond. Block after block, you can stock up on items, and lots of attractions are Pokéstops themselves, including the North Carolina Museum of History, North Carolina Museum of Natural Sciences, North Carolina State Capitol and Marbles Kids Museum (we caught a Pikachu outside of the museum recently!). 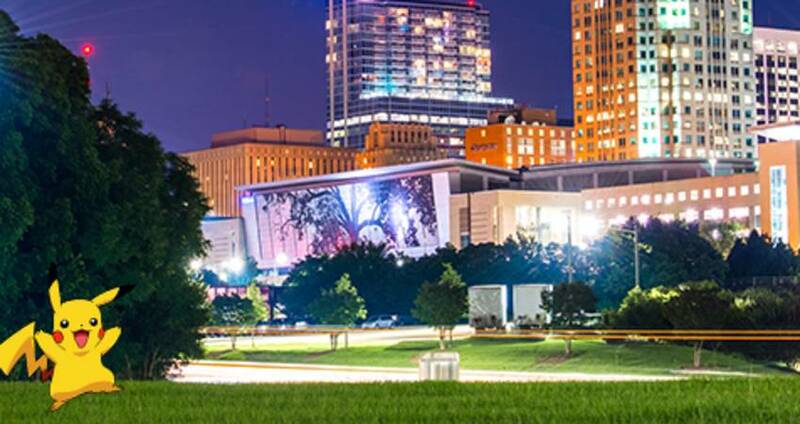 Tons of awesome public art, such as the Raleigh Convention Center&apos;s iconic Cree Shimmer Wall, and historic landmarks downtown add to the list. Because you&apos;re never too old to play Pokémon. Breweries and bars in and around downtown are either Pokéstops themselves or are close enough to Pokéstops to set up a lure and have a local beer. These include Crank Arm Brewing (and its bicycle art piece inside), Paddy O&apos;Beers (where we caught a Tangela), Busy Bee Cafe (with its outdoor, wrought-iron bee and honeycomb sculpture as a Pokéstop) and many more. Not downtown but close by, Raleigh Brewing Company has two Pokéstops inside the taproom and one outside; if you sit in the right place, you can hit three stops at once. A perfect way to get around and catch Pokémon in the process is to take the R-LINE downtown circulator. We caught a Squirtle, Slowpoke, Meowth and some common Pokémon when we took it from a stop on Wilmington St., heading to the Glenwood South district. 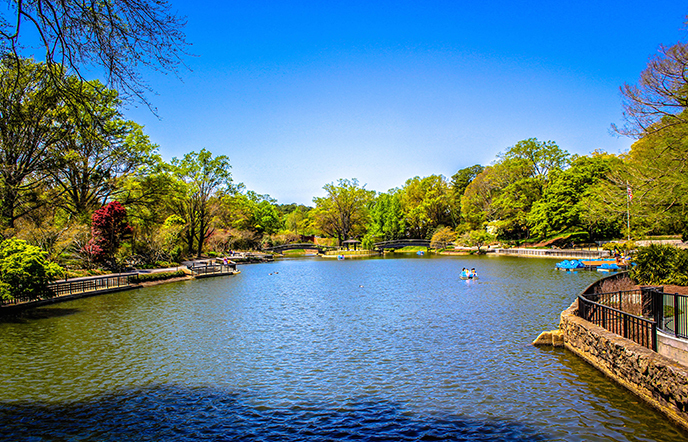 The 11 surrounding towns, just minutes from downtown Raleigh, have a lot to offer in downtown areas and main streets with historic landmarks, public art and more. We&apos;ve heard a lot about downtown Cary and WakeMed Soccer Park (said to have an abundance of Ponytas) being hot spots. Visitors to Lake Johnson Park say its a Magmar habitat, plus home to lots of other water Pokémon, naturally. Lake Lynn Park is a popular spot, with Dratinis and Dragonairs, tons of Magikarp to get to your 400-candy goal for Gyarados (and we heard just a few days ago that one popped up at the lake), Slowbros and more. Lake Wheeler Park we hear has some of these same spawns. Of course, there are lots of other great places to play the game in the Raleigh area but this will get you started! Have any other tips for great places to play in Raleigh and the nearby towns (plus what Pokémon you&apos;ve seen there)? We&apos;d love to hear. Feel free to post about them in the comments section below, for other visitors and us!